We will meet tomorrow (Friday morning) at 7:30 a.m. for services and a siyyum to conclude the Fast of the First Born, followed by our last chametz breakfast. Join us for bagels, after which I will sell our chametz. If you are still interested in having me represent you in selling Hametz, please fill out the form on our websiteand get it to me ASAP. Please know how happy I will be to see you and celebrate with you this Shabbat/Passover morning. Eli Merenstein is home from college and will lead us through Shacharit and Hallel. Cantor Saul will be leading us through Mussaf with our special addition of the pronouncement of Tal as we move from prayer for rain to prayer for dew. Our kids' services will be filled with Passover joy, and we will all join together for a lovely Pesach lunch following services. On Sunday, we'll meet at 9:30 a.m. for Shacharit and Hallel in the lobby, followed by learning, l'chayims, and lunch. Kids are absolutely welcome. Looking forward to being together. A couple of years ago, I got together with two talented members of AJ named Terry LaBan and Neil Wernick and we created a one page seder supplement. Terry has had a successful career as a cartoonist, having co-created with his wife Patty the syndicated cartoon, Edge City. We used the traditional symbols on the Seder plate as our focus, with modern questions for discussion attached to each. Feel free to print the supplement at the link below and incorporate it into your seder, if you feel it might work at your table. Early on in the Seder, we dip parsley in salt water as Karpas. We say the blessing over the "fruit of the earth." In our family, we have the custom of dipping all sorts of "fruit of the earth" at this time. We have found that this enables us to keep the seder energized and allows our seder to go longer, without folks getting too hungry. We dip asparagus, broccoli, tomatoes, potatoes, artichokes, and even strawberries. If you are looking for help with "creative Karpas," be in touch! 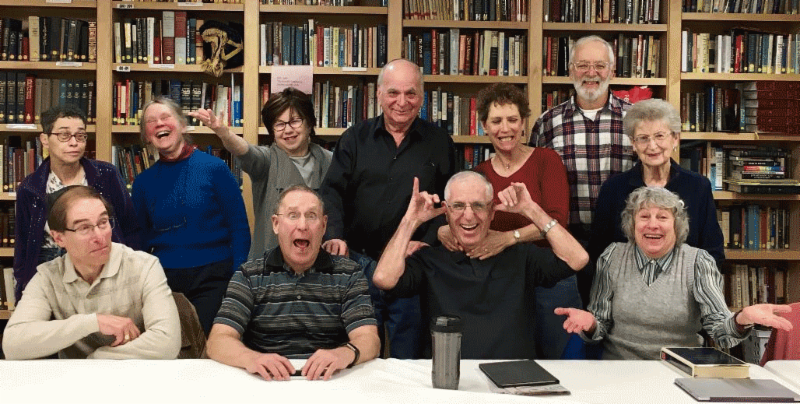 We are so blessed to have an Inclusion committee here at Rodef Shalom, that focuses on finding a place at the table for people of all abilities. 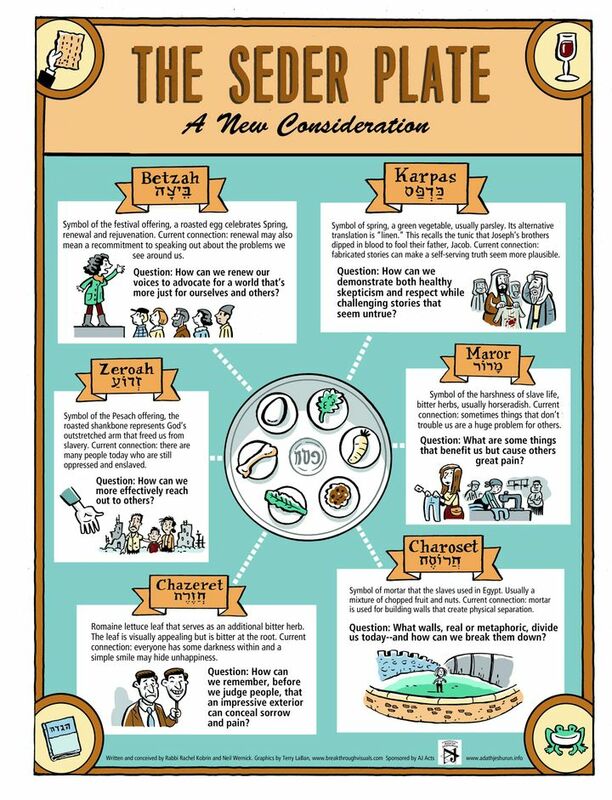 Below is a seder supplement on inclusion. More than any other time of year, Pesach is the time when there is an expectation that everybody in the family will participate. Elderly parents and grandparents, children, aunts, uncles, cousins and others all come together at the Seder table. Among us, like nearly all families, we might have different abilities, different learning styles, and different manners represented. We need to recognize this diversity as a cornerstone of Passover and honor what each of us literally and figuratively brings to the table. From Abraham's example, we are told that "welcoming guests is greater than receiving the Divine presence." But the Haggadah goes one step further - we are required to invite guests. Not just the people with whom we like to reconnect, but specifically anybody who is hungry. As we sit here tonight, we may consider who is not at our table and recognize that the person we are meant to invite (the hungry, the stranger) may be quite different from us. How can we, as families and as a community, extend our invitations and make space for those who are often left alone and isolated? Before we even begin to fulfill the mitzvah of recounting the story of the Exodus, we are asked to look at the people around the table and give explanations of Pesach that are pertinent to each of us.The story of the Four Children charges us to differentiate our instruction to accommodate different needs and abilities. We do not answer the wise child in the same way we answer the rebellious child, the simple child, or the child who does not know how to ask. Instead, we are told to provide answers that are relevant to each child; it is our duty to respond to all four children according to their needs. From the Passover Seder, generally, and from the story of the Four Children in particular, we can draw that everyone can and should learn in the same setting. We shouldn't take some people out of the room because they have "special needs". The most special need of all is to be included as an equal. The Seder is designed to appeal to each type of learner and to include different people differently - from written text, to oral reading; from detailed discussion to symbolic representation; from the taste of the food to the appeal of all of our senses. Yesterday, Bereshit landed on the moon. Okay, it didn't happen exactly as hoped. The world watched as Bereshit got closer and closer to its landing point... and then it lost contact. All of the work, all of the hopes, all of the aspirations for a successful landing had evaporated. Yet, a "crash" is still a landing, as our Rodef member Shoshana Schein pointed out. It didn't land as expected, and communication ended, but it is on the moon. Is it a failure? Well, maybe it's the kind of failure we can live with - the kind that makes us stronger. I'm told by my "personal space expert" (Jeff) that in order to succeed, there is a lot of trial and error in the space industry. This is true in life as well. In fact, at Smith College, students are now hanging "certificates of failure" on their dorm room walls. The following words are inscribed on a certificate given to students before a seminar: "You are hereby authorized to screw up, bomb or fail at one or more relationships, hookups, friendships, texts, exams, extracurriculars or any other choices associated with college... and still be a totally worthy, utterly excellent human." Failure is part of what makes us human and does not entirely characterize us. If we are brave, we will inevitably fail. And hopefully, we will get up and try again. What happened after Bereshit failed to land as planned? Folks sang Hatikvah. Even as the connection with Bereshit was broken, Hope and human connectivity remain strong. This evening, I am grateful to Alyse Opatowski who is co-hosting a dinner for young adults with me. 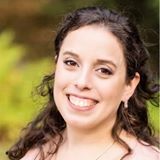 She has started No Small Talk Denver, and together we will be leading a Rodef young adult Shabbat dinner for singles and couples (without kids) and including facilitated conversation. This is Shabbat HaGadol. I hope you will join Cantor Saul and me at shul tomorrow morning for our last Shabbat With A Backbeat of the year and Minyan Masorti. We will be joined Jewish by students from the Air Force Academy and West Point who are having a Shabbaton at Rodef this weekend. Their Rabbinic Chaplain, Rabbi Michael Bram, will be giving a Dvar Torah both in the sanctuary and in Minyan Masorti. Buying Kosher for Passover products can be expensive. I suggest the following website, www.kashrut.org for a comprehensive list of products that can be purchased *prior to Passover* and opened and used during Passover, without a Passover hechsher. These products must be bought before Passover begins. I will explain a bit more about the rationale behind this at services tomorrow. Why do we sell Hametz? Jewish tradition teaches that we cannot eat, own, or benefit from Hametz during Passover. So rather than throwing away all of our products that have been used with Hametz or are Hametz, the custom has become to seal them up in a cabinet and to sell them to a non-Jewish friend. I will be making the sale to Mike Kromrey, the Executive Director or Together Colorado, on behalf of our congregation on next Friday morning. I will then give him a call after Passover to see if he wants to keep our stuff. Hopefully, he will decide he doesn't need it! Join us for davening at 7:30 AM next Friday followed by a siyyum in honor of the Fast of the First Born. Following our siyyum, we will enjoy a bagel breakfast together and I will sell our Hametz. 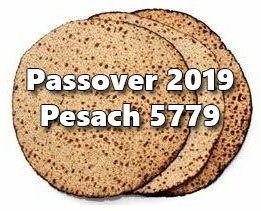 Next Shabbat, join us in the sanctuary for first day Pesach davening, followed by lunch. Sunday Morning, join us at 9:30 AM for 2nd day davening, followed by brunch and learning. On day, 7 (Friday, April 26) we will meet for services at 9:30 AM, followed by lunch. And Day 8, Shabbat, we will meet for services and Yizkor, followed by lunch. Early next week, I will be sending out a special Passover email including tips for making your Seder more fun and inclusive. Finally, I want to wish a big Mazal Tov to Rabbi Bernie and Sue Parker Gerson on the birth of their grandson, and to Gabrielle Yuffa Mattisson and Max Mattisson on the birth of their daughter. May both children grow to Torah, chuppah, and ma'asim tovim! It was wonderful to celebrate Purim with so much ruach. Special gratitude to our Megillah readers -Deb Fowler, Maya and Bethany Friedlander, Debbie Ginsberg, Becca Cover, Heather and Marcus Oginsky, Jeff Ward, and Rabbi Gerson; to Marlene Richter for her excellent gabbai skills; to David Ross for taking us through the themes of the Megillah with rockin' music; to Marcus Oginsky for running our visual Megillah on PowerPoint, created by Rabbi Dan Selsberg; to Leslie Tjarks for bartending; to the Oginsky family for sponsoring our DJ and photo booth; to our fabulous staff, especially Josh Gold, Dawn Wolf Spector, JR Hurado and Terri Richardson, who helped to pull everything together. This Shabbat we will be honoring the work of Hadassah. Join us for joyful davening as well as two smachot. We will celebrate the birth of the son of our new community members, Camille Papini-Chapla and Vesela Grozeva. We will also celebrate the weaning of the son of Rabbi Amanda and Jason Schwartz. In the Torah, Sarah has a weaning celebration for Isaac; so too, tomorrow Rabbi Schwartz and Jason (and Judah) will celebrate with an Aliyah to the Torah and a special blessings. Our kids will enjoy Tot Shabbat, Mini-Minyan, and Camp Shabbat tomorrow. And our6th and 7th graders will have learning with Marlene, while our 8th - 12th graders will have teen kiddush and a conversation about our new USY chapter. Our teen programs begin at 11:00 a.m. and our younger kid programs begin at 11:15 a.m.
All of this wonderful community engagement will culminate at noon with Adon Olam In the sanctuary and kiddush lunch in the social hall, sponsored by Camille and Vesela, plus an ice cream bar, sponsored by Rabbi Amanda and Jason Schwartz. Also, this Tuesday night, Rodef Music Underground is sponsoring a unique and magical opportunity. World renowned Jewish musician Craig Taubman will be performing at 7:00 p.m. If you like music, you won't want to miss this. Get your tickets here. As the details of the horrifying massacre of our Muslim brothers and sisters unfold, we are forced to come face-to-face, once again, with the reality that white supremacy violently and maliciously destroys lives. The only way the move beyond this reality is through our commitment to standing with those who have been attacked, and working to blot out the hateful Amalek that still exists in our world. I invite you to join Josh Gold and me today, along with the ADL and other Denver rabbis, to form a circle of solidarity during Muslim prayer services here in Denver. We will join together at the Masjid Abu Bakr (2071 S. Parker Rd.) a little before noon. This evening, we will be gathering at 6:00 p.m. in the Mizel for prayer and song, followed by a dairy potluck dinner. And tomorrow, Shabbat with a Backbeat will be in the sanctuary and Minyan Masorti will be in the Mizel, followed by kiddush lunch sponsored by Ali and Jason Hill in honor of their 15th wedding anniversary. Cry out against hatred and anger. Cry out against violence and oppression. By the hand of ignorance and sin. And the loss of precious life. Under Your canopy of hope and love. To the four corners of the earth." 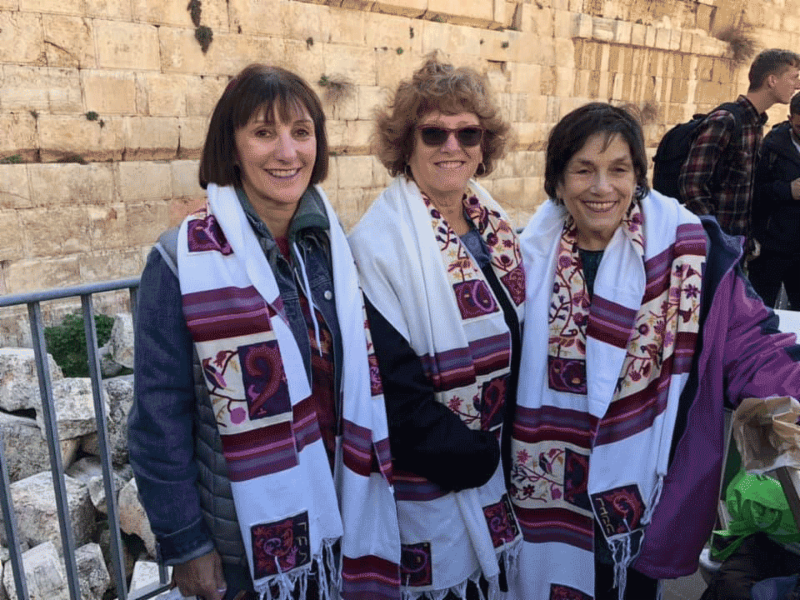 This morning, in Jerusalem, Debbie Ginsberg, Judy Fishman, and Dale Marcus celebrated Rosh Chodesh with Women of the Wall, for their 30th anniversary. Our friends, along with hundreds of other women, were met with deep resistance and violence by thousands from the ultra-orthodox community. Ultra-orthodox yeshiva girls and others physically assaulted WoW throughout the service. In addition, just as WoW began their service, the men began blasting their prayers from the men's side of the mechitzah through a sound system, thus working to drown out our sisters' prayers. Astounding. Unconscionable. We must continue to work to change the Ultra-Orthodox hegemony in our beloved State of Israel. We are so grateful that Debbie, Dale, and Judy are physically OK, but it was a scary experience. Women of the Wall moved from the women's section to the egalitarian section (which is not connected to the plaza or the main Wall area) for Torah reading, and Debbie read Torah beautifully. I just finished some very powerful learning this morning with Rabbi Margie Klein Ronkin and Megan Black at Together Colorado. I am beyond grateful to Together Colorado for partnering with us and bringing Rabbi Margie and Megan in this morning to teach religious leaders and community organizers from the Christian, African American, and Jewish communities about anti-semitism and race in America. As a Jew, I felt seen and understood in ways I have not felt before within the interfaith community. And I came to understand some of the tensions between the African American and Jewish communities in new ways. It is through conversions and learning like this that we will be able to take important steps into the future. Rabbi Margie will be giving the sermon at Rodef tomorrow morning and will be teaching again at 1PM, after lunch. Kol Hakavod to Rodefei Tzedek for working to bring Rabbi Margie to us as our Scholar-in-Residence. I hope you can make it tomorrow. I believe we will all leave inspired. Our davening will be led by Moshe Kornfeld, Rebecca Ramos-Cofino, and Cantor Saul. Come early. Stay late. Let's share Shabbat with one another. Join us tomorrow morning for Inclusion Shabbat. I will be speaking about the importance of inclusion of all people, honoring our range of abilities and disabilities, within our Jewish communities. This is also an opportunity to learn about the important work that our Rodef Shalom Inclusion Committee is doing to uplift this important principle. Debbie Ginsberg will be leading Shacharit tomorrow and our new USY Teen Leaders, Alyssa Zimmerman and Noa Kobrin-Brody, will be leading the Torah service. I will speak about inclusion after the Torah is returned to the ark, followed by Mussaf led by Cantor Saul. Monday evening, March 4th, Reb Simcha Raphael will be teaching about Jewish views on the afterlife here at Rodef. The class is sponsored by Sisterhood, but is absolutely open to both women and men. Reb Simcha was my neighbor in Philadelphia, and I was able to bring him in to teach a series for my community at AJ. He's a wonderful teacher and really one of the foremost experts on Jewish thought and the afterlife. This is a class that will be very much worth your attention. In addition, Reb Simcha will be teaching a class on Jewish ghost stories on Sunday morning, March 3, at Feldman's Mortuary. This is a fun way to explore the "spooky" narratives of our tradition. We are so excited to be welcoming our scholar in residence Rabbi Margie Klein Ronkin on Shabbat morning, March 9th. She will be speaking during services and teaching after lunch on community organizing, social justice, and tikkun olam. Special thanks to Rodfei Tzedek for all of the work they have done to make this weekend a success. ...And Purim! It's coming up on March 20th. Megillah reading for the whole family beginning at 6 PM, followed by a rockin' Purim party - DJ, food, drinks of all kinds, even a photo booth to document the shenanigans of the evening. Did you see the word rockin'? That's the theme. Come in whatever costume inspires you, but feel free to connect with your inner rock star as well. "Make yourself a teacher and acquire yourself a friend." Last night, I got to watch my daughter Noa perform in her first High School show at George Washington. It was a wonderful production of Chicago, with so many talented performers. Early that week, I stood with her director, and with other teachers, outside of GW, supporting their strike for fair compensation. Noa's director, Mr. Hasbrouck, had spent hours on this production - every day leading rehearsals until 6 PM and leading set construction on weekdays. In this final week of rehearsals, I could see the struggle he felt being away from his students. But I also saw his pride - the students spent Monday through Wednesday inside the school rehearsing on their own. Mr. Hasbrouck had taught them well. He had prepared them. The sign of a great teacher is one who gives his students the ability to master a craft and do it on their own. And Mr. Hasbrouck had done just that. On the days leading up to the strike, Mr. Hasbrouck taught his students something else as well: the importance of standing up for our own rights and needs, so that we can all be the best we can be. Learning is at the center of who we are as a people, and respect for our teachers is key to enabling our institutions of learning to continue to flourish. We are taught that when we build a Jewish community, even before we build a synagogue, we should build a beit midrash. Why is this? Because, we are taught that we can pray anywhere, but we need a set place for learning. A makom kavuah. A space that enables us to focus. And we need set times for learning as well, lest we might get lost in other aspects of life and forget to return to our studies. One of the most beautiful aspects of a Bar/ Bat Mitzvah ceremony is that we turn our students into our teachers. Tomorrow morning, Lev Friedman will become a Bar Mitzvah at Rodef Shalom, and he will share his learning with all of us. Join us for a musical service in the sanctuary at 9:30 AM or at Minyan Masorti in the Mizel, followed by a lovely Kiddush lunch in honor of Lev. Tot Shabbat, Mini-Minyan, and Camp Shabbat will begin at 11:15 AM. Mazal Tov to Lev, to his parents, Rabbi Jordan and Shayna Friedman, and to his older brothers, Isaiah and Avi. "V'asu li mikdash, v'shachanti b'tocham - and Make for me a sanctuary, and I will dwell in them." God doesn't ask us to make a sanctuary so that God may dwell within IT. God asks for a sanctuary so that God can dwell amongst US. God doesn't need the space. It is when we create that space, that we become a community. And it's there that we let God in. God can be found within the relationships that we build, the kindness that we offer, the songs and prayers that we sing. This evening, Claude and Joe Brachfeld will be leading Shabbat in the Home at the home of Barabara and Steve Zimmerman. This is a wonderful musical service, followed by a dairy/vegetarian potluck dinner. Tomorrow morning, join us for services in the sanctuary, featuring the leadership of Myles Steiner and Cantor Saul Rosenthal. I will be giving a Dvar Torah before the Torah service, and Cantor Saul will also be sharing words of learning a bit later on in the service. At 10:45 AM, join us for our monthly Rodef Shalom Family Service. I am blessed to share leadership of this service with Carolyn Shulman and David Ross. This is a shorter service that uses a fully transliterated prayerbook and strives to create a meaningful and spirited experience for the whole family. This Monday night, we have an exciting event at Rodef. At 5:30 PM, Colorado Jewish Professional Women will be having its first event if 2019, featuring CO Secretary of State Jenna Griswald. Mazal Tov to Ali Hill who is the new CEO of CJPW, and Kol Hakavod to Shira Zimmerman on having founded this impactful organization. It's wonderful to see the impact of Rodef Shalom on the wider Jewish community. You can find more information on CJPW HERE. As we look towards Shabbat, I want to wish you a Shabbat Shalom, and invite each of us to embrace Shabbat a little bit differently this week. Parshat Mishpatim introduces us to a host of rules and guideposts; traditions that have helped guide our people. The emergence of Shabbat each week invites us to explore our Judaism and these traditions at new levels. So maybe that means coming to shul. Maybe it means focusing more deeply on a prayer that we haven't given much thought to before. Maybe it means having a deeper discussion with a friend or a family member than we have been able to find time for in past days. Maybe it means reading something about the Torah portion. Maybe it means learning a new melody at shul. Maybe it means sitting in the quiet and breathing. For centuries, Jewish tradition has provided these vehicles as ways of coming closer to the Divine and our core selves. May this Shabbat provide space for such expiration. Tomorrow morning, we will celebrate as Maya Ross becomes a Bat Mitzvah in our sanctuary. David (Maya's dad) will be leading us through Shacharit and Maya will be leading us in Torah service and Mussaf. As we have done in the past, elements of our service will be accompanied by a hand drum, in an effort to connect us with our heartbeat and the rhythm of our soul. We are hopeful that during these moments we can create an energy of elevated ruach in our sanctuary. Our sanctuary and children's services will be followed by a celebratory kiddush lunch in honor of Maya in the social hall, and a tisch in the lobby. Thank you to Maya's family for sponsoring lunch for our community. And the people stood at the sea, scared to move forward into the water, and scared to move backwards to slavery. We are told that Nachshon ran in. He didn't know how to swim. But he knew turning around was certainly not an option. He had to gather the courage to lead the people forward. We sing the Song of the Sea at every single morning service. Why is that? We have plenty of other prayers that remind us of our freedom. Yet the song of the sea is different. It captures the essence of how people felt once they knew they were really free. It's the raw emotion they felt and expressed through song. In that moment of celebration, of ultimate relief, and of embrace of the future, our people didn't yell or pray or cry - they sang. Today, we have few opportunities as adults to come together in song. Yet it's song that captures our inner feelings in ways that words often cannot. It's song that invites us to feel part of something bigger. Over the past months, there has been much discussion about anti-Semitism and the women's march, and whether Jewish women can walk forward and raise voices in song with the current Women's March leadership. We as Jews have experienced real pain around this issue, and around one of the leaders of the Women's March and her connection to Farrakhan. There have been many articles published and many thoughts shared. There is clearly no place for anti-Semitism in this movement or any movement, and we must call it out loudly when we see it. At the end of the day, in addition to challenging us to stand up strongly against anti-Semitism, this situation has also demanded that we think more deeply about what it means to really face the challenges that come with coalition building. Truly, we gain the same deeper understandings of these challenges when we look at coalition building that happens in both the Democrat and Republican parties, and across party lines both in the United States and in Israel. Coalitions are complicated, but necessary. And often the only way to really move forward across the sea is to sit at the table and discuss. To argue. To see one another, face to face. The big questions become--Where are our boundaries? Are there people who have crossed our lines and gone too far? How much imperfection can we tolerate if it leads us to deeper goals? When is better to walk away and when is it better to stay at the coalition table? The leadership of the DC Women's March met with a group of rabbis for hours a couple of days ago. I am told that they listened deeply to the concerns and made significant strides. What is possible when we sit at a table with one another and listen? Do we believe change and teshuvah are possible? Our tradition teaches it - Do we really believe it? In the coming weeks, I look forward to speaking with you more about these issues. The women's March will come and go tomorrow. Of bigger concern is how we work to educate and build coalitions in the days that follow. It's wonderful that this Torah portion falls on MLK weekend. I was just invited to give the invocation at the Marade on Monday, and I feel blessed to have the opportunity to connect a bit of this parshah with the legacy and vision of Dr. Martin Luther King Jr, and the sacred task of moving our communities forward. If you will be at the Marade, let me know so that we can walk together. This evening, I invite you to join me at Bnai Havurah at 6 PM for their Civil Rights Shabbat. I will be one of the guest speakers at the service. I am so grateful to Rabbi Evette Lutman for inviting me to speak for inviting our community to participate. In Our Sanctuary - Join Cantor Saul and the Shir Rodef Ensemble for a special edition of Shabbat with a Backbeat in honor of Shabbat Shirah. Our davening will be uplifted with musical instruments and we will be adding songs specifically because it is Shabbat Shirah including "Miriam's Song" by Debbie Friedman (z'l). In this way we will honor both the contributions that Miriam and the women made to the Exodus and the fourth Yartzeit for Debbie Friedman whose artistry changed the landscape of Jewish liturgical music in America forever. If you have a tambourine, please bring it for this special service. At the Mizel - We have a wonderful line-up of daveners at Minyan Masorti, our song-filled traditional egalitarian service. Dan Hyman will be celebrating the anniversary of becoming Bar Mitzvah. Mazal Tov to Dan and thank you for sponsoring a beautiful kiddush lunch. 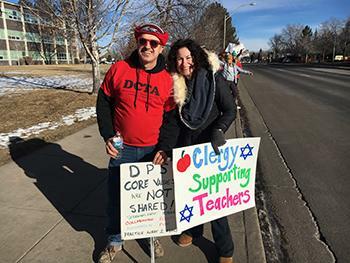 Downtown Denver - If you will be attending the Denver Womxn's March, we invite you to join Denver's women rabbis as we celebrate Shabbat in Jewish community beginning at 8:30 AM at Trinity United Methodist Church, 1820 Broadway. This service will merge the spirit of Shabbat with our cry for social justice, economic justice, human dignity, women's rights, and rights for people of color, for Jews, for immigrants, for LGBT folk, and for those who experience discrimination. It is also a wonderful opportunity for outreach and for sponsoring a sense of Shabbat and spirituality beyond the walls of our synagogues. We are grateful to the leaders of the Denver Womxn's March, which is independent for the national march, who have spoken out against anti-semitism over the past months. Sunday - Join us at 10:30 AM for our special Tu'Bishvat program. We will begin our composting program and learn with our partners from Hazon and Ekar Farms. I want to share with you a couple of wonderful opportunities. 1. Rabbi Mike Moskowitz, a traditional Orthodox rabbi who teaches throughout the country on Jewish law and transgender identity from an affirming perspective, is in Denver for a conference and has offered to give a last-minute class this evening at Rodef. He will be teaching at 6:00 PM in our Youth Lounge. Pizza will be served. Please RSVP to our office if you can attend. 2. This Friday Night, I have been invited to speak at Civil Rights Shabbat at Bnai Havurah. The program begins at 6:00 PM with a free Shabbat dinner, followed by a special musical service. A young children's program and babysitting is available. Rodef community members are invited to attend - here is the link with more information. 3. This Shabbat morning is the third annual Womxn's March here in Denver. This March began as a way of raising women's voices for equality and dignity in our county. I stayed in DC and was able to participate in the first march, along with Noa. Over the past year, the vision of the march has been tainted by the tolerance and even embrace of age-old anti-Semitic tropes by some of the march's leaders. This has been deeply painful for us as Jews and has created a divineness that only takes us backwards in a time of deep unrest. The Denver Womxn's March is an independent organization, not affiliated with the National Women's March, and has decried anti-Semitism and ties to Louis Farrakhan. As Jews, we must continue to demand such accountability in this conversation. There is absolutely no room for anti-Semitism, bigotry of any kind, and hatred in this movement and in our efforts to move forward the voices of women and minorities in our country. Our voices remain instrumental in fighting for economic and racial justice, for human dignity, and for a more just and righteous society. 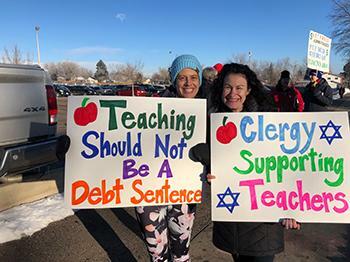 In addition to our Shabbat services at Rodef this Saturday - including Shabbat with a backbeat, Minyan Masorti, and children's programming - the female rabbis of Denver are organizing a Shabbat service downtown near the Womxn's March. If you will be attending the march, we invite you to celebrate Shabbat in Jewish community at 8:30 AM at Trinity United Methodist Church, 1820 Broadway. This service is an excellent opportunity for outreach and for sponsoring a sense of Shabbat and spirituality beyond the walls of our synagogues. There will also be a seudah shlishit and Havdallah at a downtown home on Shabbat afternoon. Please be in touch with me for more information. 4. I would very much like to walk in the Marade on Monday with a group from our Rodef Shalom community. Will you be attending? Please let me know so that we can walk together. One of the beauties of Shabbat is having the ability to step back and reflect on our week. What parts enlivened us, brought us joy, enabled us to shine? How did we help another human being? What pieces do we want to leave behind - times when we felt frustrated or sad. Maybe moments when we didn't feel we were our best selves. When we breathe in Shabbat, we take in a combination of calm and possibility. The calm that happens when we let go - for just a moment - of the busy lives we cultivate, and the commitment to possibility - the ability to hope, dream, envision, and build. *Time shared with Rodef Shalom congregants and staff members in coffee shops, in my office, in hospital rooms. *Time learning together with community members at our Thursday morning Tanakh and Tabloids Class and our Wednesday evening Interfaith Bible study class. * Time meeting with our dynamic education committee. * Time working with Denver's women rabbis to plan a special Shabbat service next Saturday morning, at the Denver Womxn's March. 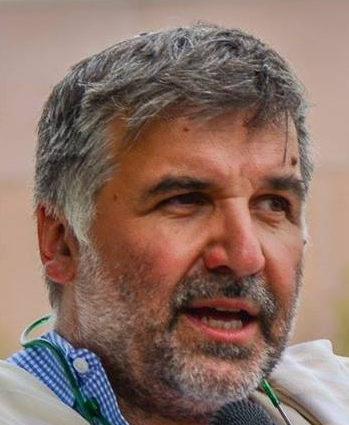 *Time speaking with Rabbi Marc Soloway, who will be a Rabbi-in-Residence this weekend and will lead us in prayer and share beautiful Torah and niggunim with us on Shabbat morning. I enter Shabbat holding all of this. And I also hold the impromptu dance party in my kitchen with my children as we made dinner. And the fact that Adin learned how to call the LEGO company and request missing parts from his set. (Of course, the two tiny missing pieces were discovered later that evening... a lesson in advocating for a need and searching carefully). What are you holding as you move into Shabbat? What have been the small or large moments of blessing this week? Tomorrow morning, Cantor Saul and I are looking forward to greeting Rabbi Marc Soloway who will be leading us in prayer and learning during our service. Following lunch, please also join us for a niggun circle. Tomorrow morning, we will also have our babysitting and Shabbat Makerspace programs, followed by Tot Shabbat, Mini-Minyan, and Camp Shabbat. Please join us tomorrow night for the Rodef Music Underground concert with The Truth About August, featuring our very own Carolyn Shulman. This promises to be a really fun evening! And this evening, we have the opportunity to greet Shabbat together as well. Claude and Joe Brachfeld will lead us in prayer and community at our Kabbalat Shabbat @ Home program. Thank you to the Bush family for hosting! Cantor Saul and I are excited to share with you an exciting opportunity that has presented itself to us for this Shabbat. As you may remember, Rabbi Marc Soloway from Bonai Shalom in Boulder was with us for Shmini Atzeret and Simchat Torah. Rabbi Marc is coming to the end of his sabbatical and had such a wonderful time in our community in the Fall that he wanted to return. We are thrilled to have him as a scholar-in-residence this coming Shabbat. Cantor Saul and I hope you will join us Shabbat morning for opportunities to pray, learn, and sing with Rabbi Marc. In addition to leading pieces of our service and sharing a Dvar Torah, Rabbi Marc will be leading a niggun circle after lunch, teaching us some of what he learned at the most recent Hadar Rising Song Institute conference in New York City. Rabbi Marc brings a love of song to the prayer experience, and this is a special opportunity for our Rodef community. I love that our community is such a special place that wonderful daveners and teachers are eager to spend Shabbat with us and share their talents. In past months, we've heard Divre Torah from Rabbi Shamir Caplan, Rabbi Jay Strear, and Rabbi Barry Leff. We look forward to praying and learning with Rabbi Marc this Shabbat. On Friday night, we sing the Vayechulu prayer after the silent Amidah. Vayechulu is then traditionally recited again around our Shabbat table. Why is it said both in the home and in the service? Our Rabbis taught that this prayer should never be said alone. They felt that including it in the service would create a protection for people. What kind of protection? They were concerned that without a prayer that could not be said alone, people might not wait for one another. The guy standing next to us might take a long time reciting his Amidah - and perhaps nobody would wait. The service would end, and he would be left to walk home in the dark alone. With the Vayechulu protection in place, people knew not to start this prayer if their neighbor was still praying silently, for fear that he would not have anybody to say it with when he had completed his silent prayer. Vayechulu therefore made people more patient, more considerate, more kind. This is the intention and essence of Shabbat - to create a time and space of invitation, of caring, and of noticing the people that surround us. As we prepare for Shabbat, I want to bring your attention to two special services this weekend. This evening, we will have our first Sulam service. Sulam means ladder and symbolizes the wonderful ways that soulful payer can open us up to new possibilities, inviting us to stretch ourselves and enabling each of us to climb to new heights. Just like the angels in Jacob's dream climbed up a Sulam, so too we are like angels - working to elevate ourselves and our world through spiritual practice and the creation of sacred community. Our service will begin at 6 PM this evening in the Mizel and will be followed by a dairy/parve potluck dinner in the Rodef lobby. Please bring a dairy/parve/vegetarian dish to share. Tomorrow morning, in addition to our regular sanctuary service, Carolyn Shulman and David Ross will be joining me in leading our Shir Shabbat Family service in the Social Hall. We initiated this service last month and are excited to offer it again. It is designed as a highly participatory, ruach filled service for kids and adults to enjoy together. Our prayer book is fully transliterated, making the service accessible to all. Next Friday night is our first Shabbat in the Home. This is a wonderful service that we offer during the winter months, enabling our community to gather for prayer, song, and Shabbat dinner in a congregant family's home. The service will be led by Claude and Joe Brachfeld. For more information, please contact Debi@bushfamily.com. I also want to let you know that we will be having a security informational meeting on January 16th at 7:30 PM. We will be sending a letter in the mail in the coming days with further information on security and this upcoming meeting. This Shabbat, we gather together to complete the book of Bereshit. Rabbi Jonathan Sacks asserts that we end this book holding onto a key human character strength: the ability to forgive. We see this strength in Joseph. Joseph has already shown us a plan that involved disguise and a test, in order to prove to himself that his brothers have truly changed. We have also seen that Joseph has embraced the course of his life and used it for good. The disguise, the test and Joseph's positive understanding of his existence enables him to forgive - a character strength that he fully embodies and articulates as his father Jacob dies. Rabbi Sacks asserts that Joseph's ability to move forward and truly forgive represents a "morality of guilt rather than a morality of shame." Rabbi Sacks shares that a shame-driven culture sees one's transgression as a stain; the only way to move past that stain is to put a patch over it so nobody will see it. A guilt-driven culture sees a distinction between the person herself and the act that she regrets having done. The act may have been bad, but the person herself is not. A culture of guilt enables a person to move forward and be forgiven. As we close the book of Bereshit, we can ask ourselves the following questions: Do our relationships enable us to embrace guilt or force us to hide in shame? How can we gently engage the challenging feeling of guilt - and allow that feeling to enable us to become better people? How can we release the paralyzing feeling of shame - a feeling that only allows us to linger in past mistakes? Tomorrow morning, I hope you will join me at Rodef for what promises to be such a wonderful morning. There is so much to celebrate - including Bruce Feinstein's retirement, Meredith and Ben Levy's 10th anniversary, Dr. Toby Mower's 80th Birthday, and Josh Gold's 35th Birthday. We have so many Rodef members who have celebrated birthdays this past week - I am excited to include all of you in a joyful Yom Huledet Sameach! Our service is sure to be beautiful tomorrow, with Myles Steiner leading us in Shacharit and Julia Snyderman Chatinover leading us in Mussaf. Services will be followed by a lovely kiddush lunch. As always, kids' programming included babysitting and Shabbat Makerspace, Tot Shabbat, Mini-Minyan, and Camp Shabbat. Shabbat Shalom. Hope to see you tomorrow morning. 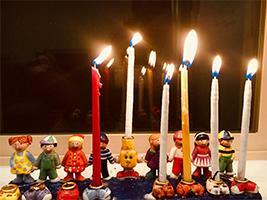 The School of Shamai taught that we begin with 8 candles on the first night of Chanukah and conclude with one candle on the final night. Imagine if this was our custom-how different this we would feel on this last night of the festival, with our light dwindling. 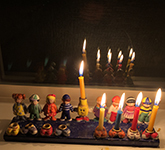 The School of Hillel taught that we begin with one candle on the first night and conclude with eight candles on the final night of Chanukah. We follow the School of Hillel because we should always be working to increase our light. As we watch all 8 candles burning this evening, may we begin to answer the question: How will I increase my light in this world? 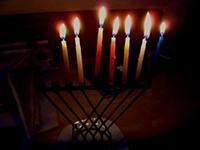 Our powerful shamash lit each candle for eight straight nights. What made the shamash so powerful? Its power is held in its ability to ignite other flames - to enable other candles to shine. How can we each be a shamash, helping others to find their light or to increase the light they transmit? One of the aspects of Rodef Shalom that has been most striking to me over the past few months is the contagious light that exists within our growing and dynamic community. May we continue to care for and feed this beautiful flame-increasing it night after night-and may we create miracles together. As we light our 6th Candle this evening, may we recall the story of creation and allow this 6th candle to represent humanity. The midrash teaches that the angels argued with one another. Some suggested that the creation of human beings was a bad idea, as they believed we humans would bring about pain and destruction. When we look at the environment, issues of global warming, and the violence and darkness caused by our fellow humans, we can identify with the angel's pessimism. But the story doesn't end here. For the other set of angels saw humanity with optimism. "Human beings will bring about kindness and justice," they said. We see this today in our world too - It is our job to fix the destruction - not to cause it. We experience this today through large deeds and small acts of goodness, compassion, and healing. And so, this 6th candle is our inspiration. May we be healers. May we be fixers. May we be agents of kindness. May we be visionaries of light. Tomorrow, please join us for a special Chanukah Shabbat. *We will celebrate the birthdays of Leslie Tjarks and Brian Caplan and we will welcome Fran and Harvey Cohen's beautiful granddaughter Chaya Lena (and her delightful parents, Becca and Aiden) to Rodef Shalom. * We will enjoy the first ever Rodef Chanukah Bowl at the end of services. This will include Chanukah trivia (for adults and kids) and even fun prizes. * Delicious lunch, including an ice cream bar. We invite you to wear blue, white and yellow, your Chanukah sweater, or any other Chanukah gear you may own! On the 5th Day of creation, the story of Genesis teaches us that fish were created to fill the seas and the vast waters that cover our earth. Waters that nourish and cleanse. Waters that sustain life. Tonight, we light five tiny fires. Fire brings us light and warmth. Fire enables us to cook. Fire enables us to create. And yet water can also destroy and drown. Fire can consume and incinerate. So too with so many aspects of our lives. Anger can be used to create change. It can also create an explosion. Humor can be used to create joy and make people laugh. It can also be used to embarrass and cause shame. Humility can be used to elevate another. It can also be used to detract from ourselves. May we use the elements and attributes with which we are blessed to bring about only goodness. 4th Candle - Menorah half-full OR half-empty? We are taught that we should strive to say 100 blessings a day. Why so many blessings? Because saying a blessing is like saying “thank you.” It’s a moment of gratitude. Blessings are not limited to people who believe in God. The discipline of saying a blessing can be meaningful to people of all different theological frameworks. The act itself enables us to step back and acknowledge the places where we find goodness in our life — and through articulating our gratitude, we come to feel that gratitude in a deeper sense. 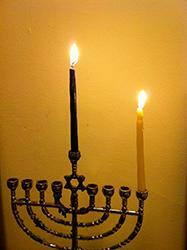 As we look at the menorah this evening, we have a choice: Do we see the menorah as half-full or half-empty? Do we express thanks for the light that we see or express frustration for the places there is not yet light? In truth, both emotions are valuable. We need to be people who truly recognize goodness and light; we need to be people who work to cultivate gratitude. And we also must strive to be people who acknowledge the spaces of darkness — and through that acknowledgement, we must work to bring about more goodness and light. Just as we are grateful for the good, so too we must also see the pain and darkness and work to rectify them. So, I believe it’s menorah half-full AND half-empty. 1. Torah - Meaningful Learning: The climax of our Jewish narrative is the moment of Revelation on Mount Sinai, when our sacred story tells of God speaking face to face with Moses, revealing a language of justice, peace, and love to the Jewish people. We recapture that experience of revelation each time we sit down and study Torah with a chevrauta - a study partner - bringing new understandings to our texts and creating a space for our Jewish language to continue to evolve. The act of studying with a partner reflects the tremendous value Judaism places on encountering other human beings in sacred relationships that permit us to reveal the depth of our souls. 2. Avodah - Purposeful Prayer/sacred connection: Originally, in the time of the Temple, Avodah referred to the sacrificial offerings. Our offerings now come in the form of communal connection and recitation of sacred texts. When we truly engage in purposeful prayer, we experience the potential of revelation - we both reach out to the mystery of God, and also reach inward to connect with the mystery of our souls. In doing so, we strive to reveal our deepest feelings to the one who needs to understand us best - ourselves. Life can be disheartening and scary, yet when we come together in passionate communal prayer, we support one another and gain strength and inspiration to do the revelatory, healing work that our society so desperately needs. 3. Gimilut Chasadim - Acts of Lovingkindness: The first Lubavitcher Rebbe, Shneur Zalman, taught that there are moments in each of our lives when we become worn down and are unable to simply spring back and find meaning in life. Rebbe Shneur Zalman explained that when those moments arise, we must go out and share kindness with another human being. Visit a resident in a nursing home. Volunteer in a soup kitchen. Spend time in an inner-city school helping children learn to read. When we engage in selfless acts that elevate others, we reveal love and goodness to all those we touch. In that moment, not only do we bring light to others; we become filled with light ourselves. May these three candles inspire us to embrace Torah/meaningful learning with another person, purposeful prayer/sacred connection, and acts of loving kindness. Why does our tradition teach this in the singular? Why one teacher and one friend? Isn't it better to have ten? Or 20? Or 50? Sure, having many friends and teachers is wonderful. But I think the text is getting to something very specific. It only takes one really good teacher and one really good friend to make all the difference in our lives. "Making" a teacher implies that we have the power to create a teacher for ourselves. Maybe that person is somebody who never before thought of herself as a teacher. When we decide that she is our teacher, her status shifts and she becomes an educator. We each have the ability to turn someone into a teacher, creating richness and opportunity in our life as well as hers. Acquire for yourself a friend implies that this is somebody we choose as well. If I acquire a friend, in order for him to truly be a friend - he also must acquire me. In a way, we both "own" the friendship and take responsibility for cultivating it. The transition from acquaintance to friend is a profound one, with responsibilities and rewards for both people. As we light the second candle this evening, may we contemplate who is our teacher and who is our friend. Who is it that becomes a mirror for us, reflecting back our light through education and through camaraderie? Who is it that sees us and loves us for exactly who we are? Who is it that stretches us to be the person they know we have the capacity to become? May we commit to ourselves this Chanukah gift - making a teacher, and acquiring a friend. 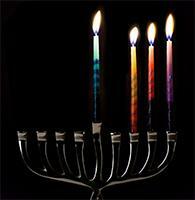 I will be sharing a kavanah - an intention/teaching - for each night of Chanukah. I hope that these teachings can help us to reach a little deeper into this eight-day celebration. Tonight we light the first Chanukah candle - one solitary flame, representing the singular, unique nature of each human being. Our Rabbis teach that each one of us has an important voice, and we must use it to bring more light to our world. Throughout the Torah and the stories of the Prophets, we see people moving past their comfort zones to speak truth to power and to enable our people to flourish. This is even seen in this week's Torah portion, as we watch Joseph use his voice to educate Pharaoh and prepare the people for the realities of famine, enabling them to survive despite the potential for devastation. May tonight's singular flame inspire each of us to use our one unique voice to bring about much-needed light. As we approach Friday afternoon, I want to share a new Shabbat offering that we are introducing at Rodef. Tomorrow morning, we will be offering Family Shabbat service beginning at 10:45 AM in the Rodef Shalom lobby. Carolyn Shulman and David Ross will be joining me in leading prayer, song, and Torah discussions that will engage the whole family. Our prayer book is fully transliterated, enabling all to participate. Kids and adults of all ages are welcome. We are hoping this service will be held once a month. In addition to this new service, our sanctuary service, Shabbat babysitting and our Shabbat Maker Space, we will have two discussion groups for older kids this Shabbat beginning at 11 AM. Marlene will lead the group for 6th and 7th graders, and Julia will lead our 8th - 12th graders. Nate is not with us this week, and so kiddush lunch will be a little bit different. Never fear - we will have a lovely lunch. But we are asking for your assistance in clearing your spot at your table. Thank you. In addition, we are looking for people who are interested in joining our catering committee - The Rodef Foodies. If you are interested in being part of this committee, please speak to Josh Gold. We look forward to continuing to elevate our Shabbatot with delicious food. On Thanksgiving, my family has a tradition that is similar to what many families do, but we have a slight variation. We go around the table and share the things for which we feel thankful. While doing so, we each play a song or two that represents our year and our feelings of gratitude. This year, I chose Lenard Cohen's Hallelujah and Rocky Mountain High. And I expressed my gratitude for family and friends, for the importance of learning to find gratitude even in the painful moments of life (a lesson taught so gracefully by Koby Gruenwald z"l and the Gruenwald family), and for Rodef Shalom and for each of you. My journey and exploration of moving to Denver began about a year ago, and I couldn't be more grateful to have landed here. We are blessed to have such a vibrant, active, menschy, growing community. Thank you for welcoming me to this congregation; I feel very lucky. 9. A chance to say thank you in person to a friend or two. 8. A Rodef Baby naming! David Seligman and Izzi Stone will be welcoming their daughter to the covenant of the Jewish people during a Brit Bat ceremony at the Torah. 7. Deacon Cecily Harmon from Delaware will be delivering the sermon. Deacon Harmon is the mother Rodef community member member Michael Harmon and I know we will all learn and grow from her words. 1. A lovely kiddush lunch with root beer floats! I have been told by countless people how truly wonderful last Shabbat was at Rodef. Thank you to Cantor Saul for making it such a moving and inspirational morning. I missed being with you, but was so thrilled to hear how great people felt about the day. My weekend was very special in Delaware - it was truly a unique and memorable experience to be able to install such a dear friend and help solidify his place in his new congregation. This Shabbat at Rodef will be very special as well. We will be celebrating Michele Campbell and the time she has shared with us as our Executive Director. We will have the opportunity to hear words of appreciation from various professionals and lay leaders who have worked with Michele and will miss her presence and many irreplaceable gifts. We will also be celebrating Lauren and David Ross's 15th wedding anniversary and the anniversary of Alyssa Zimmerman's Bat Mitzvah. Our service will feature a variety of leaders including Marty and Alyssa Zimmerman and Rebecca Ramo-Cofino, who is one of our newer Rodef members and an experienced prayer leader, and will be sharing her leadership with us at Rodef for the first time. Services will be followed by a delicious kiddush lunch - including Nate's delicious salmon, and wedding anniversary root beer floats and Bat Mitzvah anniversary margaritas! Tragically, this past week has been brutal, with shootings from one edge of the country to the other. This Shabbat I will be addressing gun violence in our country and our moral imperative to refuse to accept this as the new normal. Our children's programming will begin at 10AM with our Shabbat-friendly Maker Space, followed by Tot Shabbat, Mini-Minyan, and Camp Shabbat at 11:15AM. Over the past week, I was asked to speak on CPR about the Mourner's Kaddish and Conservative Judaism. In addition, I wrote a piece that appeared in Sunday's Denver Post. The links to both are below. Please join us on Shabbat. This will be a chance for us to be together, to say farewell to Michelle, and to lift one another up. Please join us tomorrow morning for Solidarity Shabbat at Rodef. After this terrible week, this is a Shabbat to come back to shul, to be with one another, and to stand strong against hate. I write to you today from the East Coast. I was invited by a good friend who is a rabbi to install him in his new pulpit in Newark, Delaware. When I was asked to be with him and his congregation this weekend, we did not know that it would be the Shabbat following such a devastating attack on the Jewish community. While I am thrilled to be able to be the installing rabbi for his simchah this weekend, I am sorry not to be with you. However, Cantor Saul will be leading services tomorrow, and I know he will share important and inspiring words and music of memory, comfort, and hope. We will not let terror keep us from our sacred spaces. We will not let terror divide our communities. We will not let terror stop us from celebrating joy and possibility. This coming Wednesday evening at 6:30 PM we will be coming together for a 6 week Bible study class in partnership with our friends at St. Luke's Episcopal Church. Join us at 6:30 PM at Rodef for this engaging opportunity to learn text in an interfaith setting. May this Shabbat be filled with only goodness for our people and for the world. In honor of Pink and Teal Shabbat, we will hear words from breast cancer survivors Lois Feinstein and Sue Parker Gerson in the sanctuary. In addition, Sue will be teaching a class starting at 10:15AM in the gift shop entitled: The Mitzvah To Guard Your Health. We will invite all present to share names of those who we have lost to these terrible diseases before we recite mourners Kaddish. If you wish, we invite you to come to shul wearing pink and/or teal, as together we bring more awareness to our Rodef community about the prevalence and tragic impact of breast and ovarian cancers. 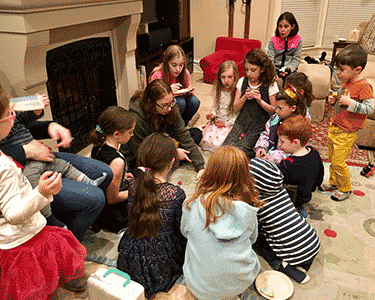 Our Shabbat kids' programming is continuing to grow and expand! In the coming weeks, we will be building a Shabbat friendly / Shomer Shabbos Maker Space in the youth lounge that will be open on Shabbat from 10:00 - 10:45AM. If you have LEGO, clay, stickers, microscopes, or other supplies that you would like to donate, be in touch with Dawn Wolf-Spector or me. We will have the beginning pieces of the space this week, with the plan for its expansion in the weeks to come. This Shabbat, from 10AM - 10:45AM, PJL Mini- Uplan for grades K-1 will be meeting. We will all conclude our services together in the sanctuary, followed by Kiddush lunch in the Social Hall. Looking forward to seeing you on Shabbat! 1. Josh Gold, our new Interim Executive Director, and his wife Pamela and children Brayden and and Dylan, will be in shul... come meet them and welcome them to Rodef. 3. My parents are visiting and can't wait to meet you! 5. We will be celebrating Ilana Steinberg's birthday with an Aliyah to the Torah. 9. Excellent opportunity to disconnect from the fast pace of life and be together with good people. 10. Delicious Kiddush lunch featuring a special salads and root bear floats. We have a bit of a marathon of holidays... Rosh Hashanah and Yom Kippur enabled us to go inward while experiencing the blessings of a robust community. Sukkot has graced us with community, spirited prayer, and a deeper connection to the outdoors and our fragility and Hoshanah Rabbah, Shmini Atzeret, and Simchat Torah still lay ahead. This marathon is not about speed, for we will all finish at the same time. Rather, it's about the intentions and ruach we all bring to the experience. I want to spend a moment sharing the highlights of what we are planning for the upcoming days here at Rodef. I hope you will join me in celebration! Tonight we have our first Passport For Jewish Learning (our Hebrew school) Shabbat at Rodef at 6PM. Tomorrow morning (Saturday) we will celebrate Shabbat and Sukkot together beginning at 9:30AM, as we honor Ally Spanbauer and our beloved preschool teachers and staff. Our children will be invited to help return the Torah to the ark and Mussaf will be led by a preschool parent. We will enjoy a delicious kiddish lunch in honor of our preschool. Thank you to the wonderful families who made this Shabbat lunch possible! Sunday Morning, we will join together at 9AM for our Hoshanah Rabbah service. This is a wonderful, primal service where we will circle around a Torah in the Sukkah seven times in song, and bang willows on the ground. We bang the willows as an opportunity to bang-out the last of our transgressions from this past year. If you've never experienced this holiday, this is an extra special invitation to join us in the fun. Monday morning, we will gather at 9:30 AM for Shmini Atzeret services. These services will include our Yizkor service and the Geshem prayer for rain. Monday evening we will gather for Simchat Torah - aka Holy Pandemonium. We will have dinner at 6:15PM followed by a short (and Simchat Torah silly) service at 7PM. We will remove the Torahs from the ark and dance and sing the night away. Join us for a festive evening of Torah, dancing, shmoozing, and fun - and delicious libations. In addition to having a big party on Simchat Torah eve (Monday night), we are going to have a super fun service on Simchat Torah morning - this coming Tuesday. We'll meet at 9:30 AM for davening and dancing with Torahs. *We will have two simultaneous Torah readings of the end of Deuteronomy so everybody present will get an Aliyah. We will have a special kids' Aliyah as well. * Part of the fun on Simchat Torah morning is reading the beginning of Bereshit, and doing a silly song with a thumb dance which is great with kids. * During Mussaf, there is a tradition of having kids do all sorts of things to the prayer leader - squirting him with water, distracting him with costumes, etc. We want your kids to be actively involved in this merriment! Our Mussaf leader is anticipating these joyful distractions. * We'll follow our service with a potluck dairy lunch. May we all end this marathon with ruach, connection to sacred community, inspiration, and vigor. 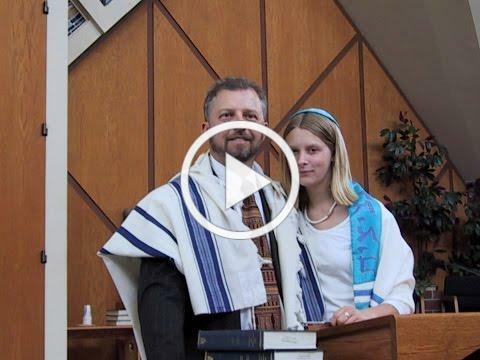 A couple of weeks ago, on Shabbat morning, Rabbi Barry Leff had an aliyah to the Torah. I hadn't met Rabbi Leff before that Shabbat morning - but I noticed his Ziegler School of Rabbinic Studies tallis when he came up for his aliyah, and I was eager to become acquainted with another rabbi who had been ordained in Los Angeles. Rabbi Leff spent last year serving as the Interim Rabbi in Birmingham. Prior to that, he spent a number of years living in Israel. Rabbi Leff will be in Denver for just a couple more weeks, and I've asked him to speak this Shabbat. While living in Israel, Rabbi Leff and his family were actively involved in the pursuit of religious pluralism, the Masorti Movement, and Women of the Wall. He will share some of his experiences with us this Shabbat, in preparation for the 5779, as we consider how we can be part of creating the Israel of the future. You can learn a little more about Rabbi Barry Leff, who is a bit of a Renaissance Man. Join us this Shabbat for services, Tot Shabbat and Mini-Minyan, and a wonderful kiddush lunch. On the second Day of Rosh Hashanah, we will dedicate our Maftir Aliyah to all of the parents, grandparents and great-grandparents who have had new babies enter their families this year. Bring your baby (or a picture of your baby) up for this special aliyah. Thank you to Debbie Ginsberg and Rabbi Sandy Cohen for initiating our Rodef Shalom Women's Tallit project. Special gratitude to our congregants who donated tallitot to this endeavor. Jewish tradition has many ritual objects that assist us in unlocking spiritual meaning. Such objects as the tallit (prayer shawl) and kippah (head covering), in their beauty and tangibility, can help change our state of mind, allowing us to reach past any of the barricades we may have to spirituality and helping us to connect with a deeper sense of meaning and purpose. 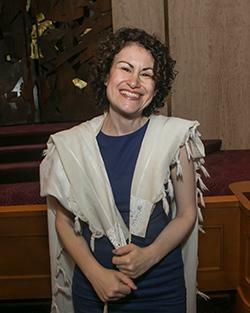 At Congregation Rodef Shalom, women are invited to adopt the tradition of wearing a tallit as we too understand ourselves to be obligated to remember the commandments. We encourage you to borrow one of the tallit from either rack during our services. I invite you to check out 10Q, which provides an opportunity for thoughtful reflection during the 10 Days of Teshuvah. Did you miss Selichot? 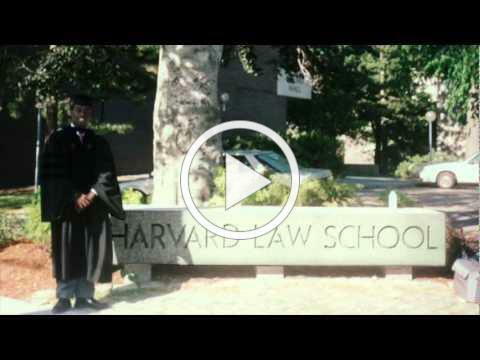 It's not too late to see the movie "A Small Act", which is available online. I will touch on lessons from this movie on Rosh Hashanah. I am really looking forward to bringing in 5779 with you. May we all have the privilege of greeting this year with an open heart and a forgiving spirit. May this year provide us with the opportunities to soar to new heights, both as individuals and as a community. When I was living in Jerusalem and studying at Pardes, I had the amazing experience of spending Yom Kippur in Jerusalem. For those who have had this experience, I imagine you might agree with me when I say that there is truly nothing quite like it. The streets were filled, on the evening of Kol Nidre through the entire day until Neila, with people wearing white. White shirts. White dresses. White skirts. White Kittels. Except for me. I was wearing a blue dress with flowers. In my synagogue growing up, you wore your nicest dress on Yom Kippur, the holiest day of the year. And so on that Kol Nidre, I put on the nicest dress that I owned - the blue one with the flowers. Yet, as I saw people pouring from their homes and shuls donned in white, all I wanted to do was run home and change my clothes. I stood out, when all I really I wanted was to be part of the community. I wanted to identify as deeply as I could with the Jewish people, and somehow, on that evening, white clothing was the symbol for that. Before I went to bed that night, I found some white clothing to wear the following day. An old white skirt and a simple white blouse. Nothing fancy, to say the least. But white. On that day, I loved that outfit more that I had loved any outfit since Middle School. And never again did I celebrate Yom Kippur without my white clothing. As we approach the High Holy Days, there are many ways we can move deeper into our preparations. We are inspired to use this month of Elul to do heshbon hanefesh - the real inner work that it takes to become the people we dream of being in this world. We make amends and we reunite with the best parts of ourselves. The tradition of wearing white on Yom Kippur can help us with this process. White is the color of purity, and so as we clean our slate, we symbolize that with our clothing. We also wear white, or a kittel, when we die and are buried. On Yom Kippur, we have a mini-death and rebirth, symbolized by wearing the very clothing we will wear when we do eventually leave this earth. When we gather together with a room full of others wearing white, we know that we are not alone. We are all part of this same journey of life. We are all trying to grow and improve. Seeing one another in white builds our feeling of being entwined within a sacred community. For some of you, your custom may already be to wear white. For others, this custom may be new. This year, I invite you to join me. Don't worry about wearing a jacket and tie or your best dress - I invite you to come to shul in a simple white shirt, a white dress, white pants/skirt, a kittel - whatever white clothing you have that will make you feel comfortable and connected. 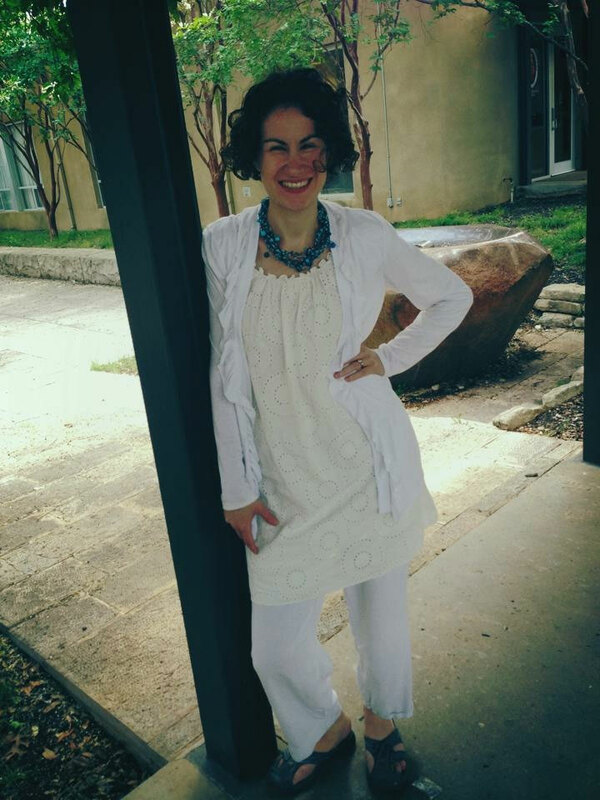 I will be sharing more teachings about wearing white and other High Holy Day traditions in the coming weeks, as we move through this month of Elul together. Join us tomorrow morning as Shana Montrose and Quentin Diot name their daughter, Ava and welcome her into the covenant of the Jewish people. Mazal Tov to Shana's father, Gary and grandmother, Evelyn, as well as to the entire Montrose and Diot families. Our service will be followed by a beautiful Kiddush lunch sponsored by Evelyn Shamon in honor of the naming of her great granddaughter, and the Gilden-Tsai family in memory of Don Gilden and Rita Krause. A short Dvar Torah tomorrow will be delivered tomorrow by Rabbi Jay Strear, the new President and CEO of JewishColorado. Rabbi Strear and his family moved to Denver earlier this summer and we are so happy to welcome them to the neighborhood and to the Rodef community. Tot Shabbat and Mini-minyan will begin at 11:15 AM. Our service will conclude with a special blessing for our kids who have just returned to school. As we move into Shabbat, we hold our brothers and sisters in Israel in our prayers. This past week, 180 rockets were launched by terrorists in Gaza into Israel, some of which were aimed directly at the city of Be’er Sheva. May we use our prayers and our voices to advocate for the protection of our people, for quick and sensitive actions from those in Israel and throughout the world that will work to end terror and uphold the sanctity of human life. We also hold in our prayers those who will be protesting against the white supremacist march in Washington, DC on Sunday. On the anniversary of the Unite the Right rally in Charlottesville, a second rally – as well as a counter-rally -- will take place on Sunday. As we enter the month of Elul, we reassert the need to blot out hate in our country, and to work tirelessly to elevate the beautiful diversity within our nation. Elul is a month of love. A month to commit ourselves to loving our neighbor – and the stranger – as we love ourselves. A month to create time and space to connect and reconnect with family and friends. A month to open our hearts wider to those who are yearning to be loved. A month to rededicate ourselves to loving ourselves and believing in ourselves. A month to assess the ways we most deeply offer love, as well as the ways we allow ourselves to receive love. We all have the capacity to love -- and we are all deserving of love. May we know this, and may we find ways to actualize this in the coming month. When we gather together in Shabbat community, we have the opportunity to actualize love. Join us tonight at 7 PM for Shabbat Under the Stars in our Rodef courtyard. Tomorrow, services begin at 9:30 AM, where Jonathan Hemenway will celebrate becoming a Bar Mitzvah. Babysitting begins at 9:30 AM, and Tot Shabbat and Mini Minyan will begin at 11:15 AM. Following services at noon, we will celebrate with Jonathan and his family as we enjoy a festive and delicious Kiddush lunch. As we gear up for the High Holy Days, Cantor Saul and I are working to create beautiful and memorable services for our community. Cantor Saul has taken on the responsibility of assigning members to blow the shofar, and we are looking to add to our corps of outstanding shofar blasters. If you are above the age of Bar or Bat Mitzvah and would like to participate this year, please be in touch with Cantor Saul in the coming week -- (303-748-4815 or saul.denver@gmail.com. 4. Kvelling as Ely Merenstein reads Haftorah in honor of the 6th anniversary of becoming a Bar Mitzvah. 6. Celebrating the auf ruf of Judith Davidson and Michael Weinstein and wishing Mazal Tov to Sherrie and Les Davidson and family! 8. Praying together and gaining strength for the coming week. 9. Saying farewell to Rabbi Gerson on his final Shabbat as our rabbi. 10. Enjoying a wonderful kiddush lunch! "Eicha." We read it on Tisha B'Av. Most aptly translated as a cry of mourning, "woa is us," eicha represents all that is wrong, burning, crumbling in our lives and our world. And yet, if we simply move the vowels, we are introduced to a new word - "Ayeka." "Where are you?" Where are you emotionally? Spiritually? Intellectually? This question is first asked in the Garden of Eden. At first appearance, it might seem to be a bit silly. Doesn't God know where Adam and Eve are? But the question isn't just a surface question about where they (and we) appear in the physical world. The question begs us to think about where our emotions are. How we are engaging our world? How we are sitting with one another and ourselves? This is the first step in our teshuvah process as we move toward Rosh Hashanah and Yom Kippur. We can do this introspective work on our own, but our traditions and rituals are here to help us along, and to provide space to be present in community, even as we grapple with the challenging aspects of ourselves. This weekend, we have many opportunities to respond "Hineni" - Here I am. This evening, join us for Kabbalat Shabbat and Shmooze at 6:15 p.m. Enjoy a potato bar dinner followed by Kabbalat Shabbat services, led in partnership by Rebecca Cover and me. Tomorrow morning, join us for Shul-Bucks at 9:00 a.m., followed by services in the sanctuary at 9:30 a.m. and Minyan Masorti in the Mizel Museum at 9:30 a.m. as well. Rabbi Mark Goodman will be giving the sermon in the sanctuary, in honor of his family's time here in Denver, as they prepare to move to Pittsburgh next month. We will gather for kiddush lunch after services - thank you to Mark Goodman and Noa Slemrod Goodman for sponsoring our kiddush this week. We will miss you! Special Root beer Floats available to all, sponsored by Allen Kantrowitz in honor of the 55th anniversary of becoming Bar Mitzvah. Mazal Tov! As always, there is childcare throughout the morning and Tot Shabbat and Mini-Minyan begin at 11:15 a.m. Children of all ages are warmly invited to be in the sanctuary or the Mizel as well. It is beautiful to have the opportunity to be part of such a dynamic intergenerational community. Saturday evening at 9:30 p.m. we will join with Minyan Na'aleh at the home of Aviva Pearlman and Nosson Knobloch at 381 Fairfax St. Denver, CO. 80220 for Erev Tisha B'Av services. Weather permitting, we will be outside. Please bring a blanket and flashlight. We will join together again on Sunday morning at Rodef at 9:00 a.m. I hope to see you this Shabbat and beyond. May we continue to hear the cry of "eicha," allowing it to transform to "ayeka," leading us fully to "heneni." I feel blessed to have landed here, in this sacred community of Rodef Shalom. This past week has been a bit of a whirlwind for us. I have jumped right in, and have, after each day, become more certain of the wonderful energy and people who are within this congregation. I have so enjoyed meeting many of you, and am looking forward to sharing more time together in the coming weeks. I am incredibly grateful to Fran and Harvey Cohen who took us into their home when our moving truck didn't arrive on the date we had arranged, and enabled us to begin our lives here with such warmth and care. Fran is scheduling each of the parlor meetings that are happening in homes throughout Denver, enabling me to continue to meet you and get to know you. These meetings and conversations are so important to me because they enable me to learn about you. Please be in touch with Fran if you would like to host a gathering. We rabbis don't actually become a person's Rabbi because of a contract at a synagogue or some sort of ordination certificate (although I will have one on my wall!) 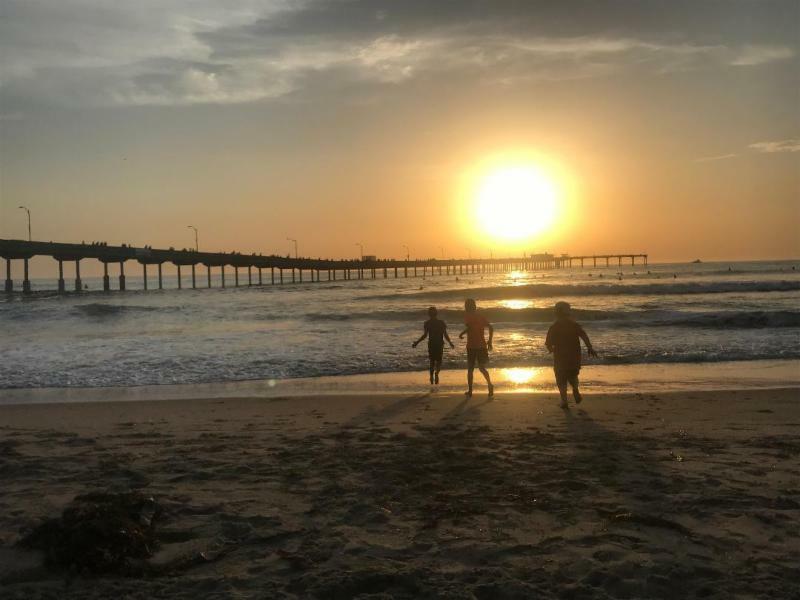 We become a person's Rabbi when we make a real connection - whether through a personal and meaningful conversation, a life cycle event, a teaching, or a prayer experience. I look forward to sharing these moments of connection with you, as we grow our relationship. In my last congregation, I sent out emails on Friday afternoon, sharing thoughts about the upcoming Shabbat and week, the Torah portion, etc. I look forward to doing the same here, and hope that these will become familiar preShabbat notes in your inbox. Tomorrow morning, Rabbi Gerson and I will be sharing the pulpit. This will be Rabbi Gerson's last sermon as a Rabbi of Rodef Shalom. I know that you will join me in savoring his words, as we continue to celebrate the Torah that both Rabbi Gerson and Sue have taught here at Rodef Shalom. It is so fitting that our new Torah and the Rodef Education Wing have been named in their honor; the Torah teachings that Rabbi Gerson and Sue have shared with us through sermons, classes, conversations, and their menschlichkeit way of embracing the world will be with us for eternity. May this Shabbat bring our Rodef Shalom community together, and enable each of us to honor our past, celebrate our present, and embrace our future. Tomorrow morning we will gather at 9:30 AM for services. Shacharit will be led by Moshe Kornfeld, who recently moved to Denver with his family. Moshe is known for being a wonderfully soulful prayer leader, and I am excited to have his voice and energy in the Rodef community. Becca Cover will be leading us in Mussaf. Becca also brings dynamism and ruach to her prayer leadership. 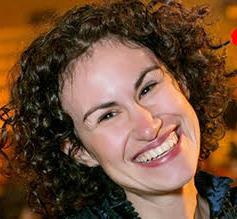 We are blessed that Becca will also be leading us on the 2nd Day of Rosh Hashanah in our Shacharit service. What inspires a feeling of gratitude within you? Show us in a picture. Email photos to james@rodef-shalom.org of people/places/objects that inspire gratitude in you. These pictures will be used in a continuous scrolling display in the Rodef lobby during the High Holy Days. Do you have a new chiild, grandchild, or great grandchild who has been born in this past year of 5778? You are invited to come up for the Maftir Aliyah on the 2nd Day of Rosh Hashanah and a special baby blessing. Bring your baby or a picture of your baby so that we can celebrate new life together. Mazal Tov to Fran and Harvey Cohen on the birth of their granddaughter! Mazal Tov to Rachel Gall, Allison Donner Hemenway, Ally Spanbauer, and Chandra T Rose on securing a grant from Hazon for full-on composting at Rodef Shalom! What a great way to begin 5779.